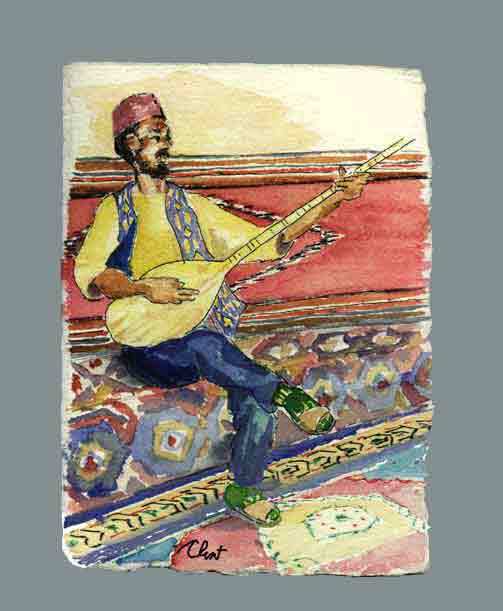 Hikmos plucks his instrument and sings Turkish folk songs. A lift on his motorcycle takes me to his cozy hangout up the road. Ismail’s friend Mustafa takes us to a spectacular restaurant in a large cave. We dance playfully in Turkish style — men with men and women with women. These men were born in Goreme, and they have no desire to leave.